Traveler: What’s that, can you please explain? Guide: Sir, chital and langur are making distress sound sensing danger. Let’s wait here to see why they are scared. Pin drop silence all around. The alarm calls are becoming louder and louder. The wait game begins. 5 minutes, 10 minutes, 15 minutes…the traveler wonders, why we are waiting at this rocky patch and not moving and seeing the beauty of the forest ahead. The traveler looks ahead and he witnesses his life changing moments ahead. 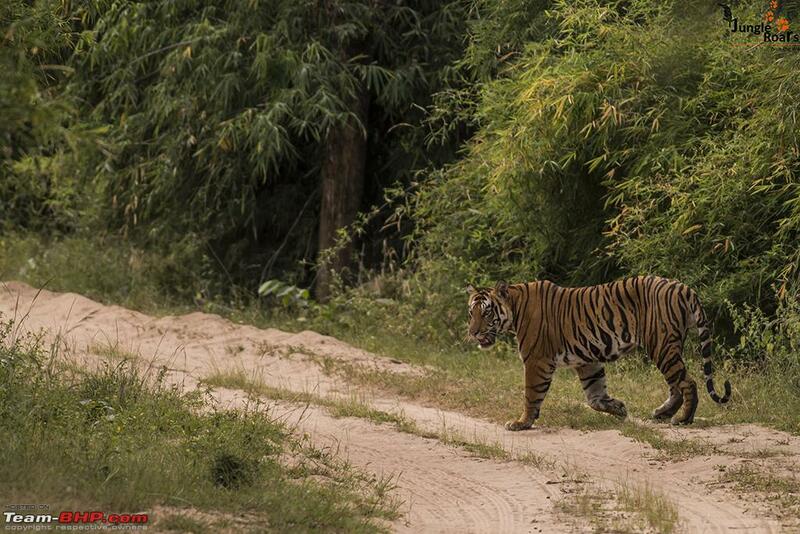 A male tiger seems in his full prime walking fearless towards the gypsy. They gypsy maintains a good distance between the tiger and itself. 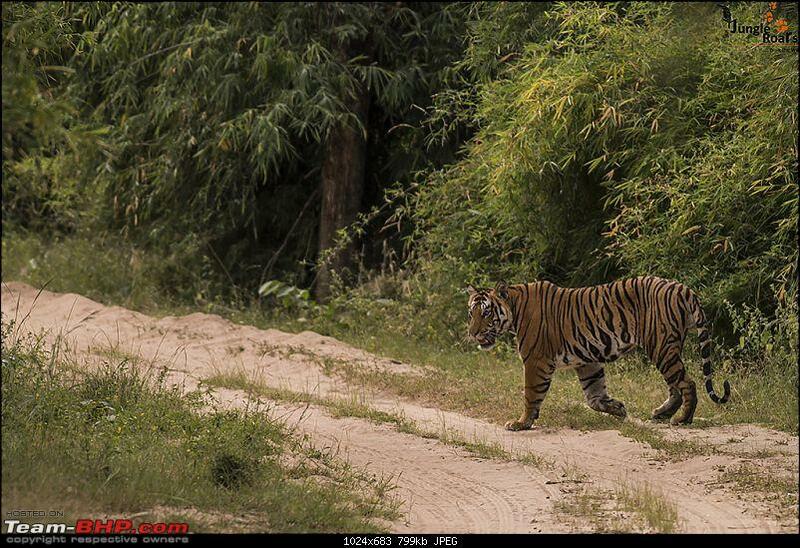 The tiger keeps walking while marking his territory by spray marking, marks on the tree. 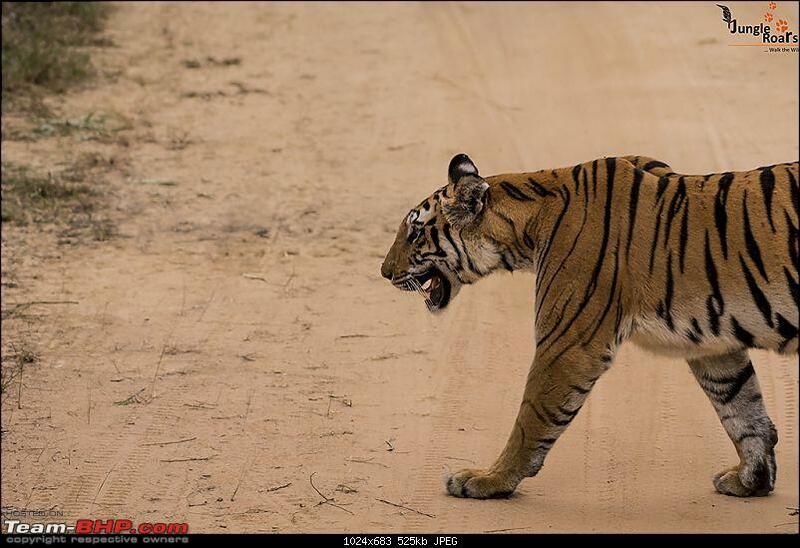 The gypsy is going in reverse direction since the tiger is walking towards it. Feels like he is saying ‘I am the real king of this forest so back off’. Slowly the driver of the gypsy says “Sir he is B2, dominant male of this zone”. The sighting lasts for more than 25 minutes. The tiger then vanishes deep into forest. The safari ends. 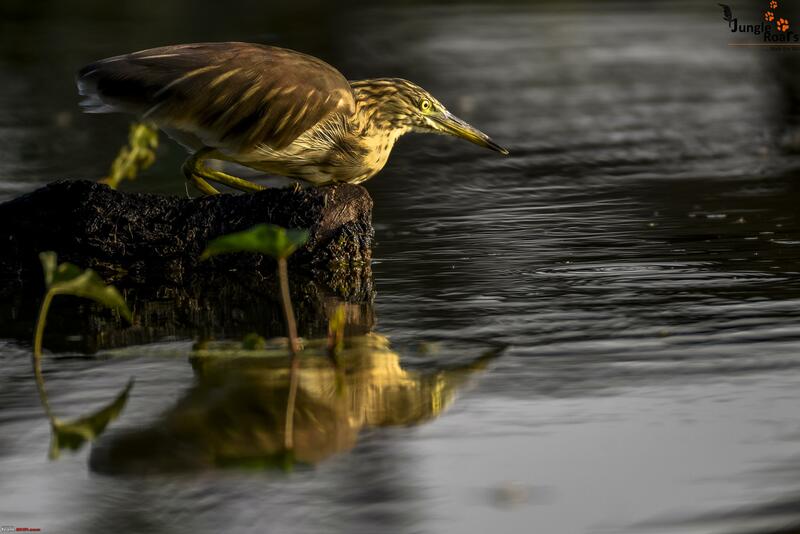 But, what starts is never-ending love for wildlife and forest in the heart of the traveler. He cannot forget the moment of sighting and the hangover is gripping him all around. That started a never-ending journey to visit Indian forests and tiger reserves in search of love, peace and various creations of nature. 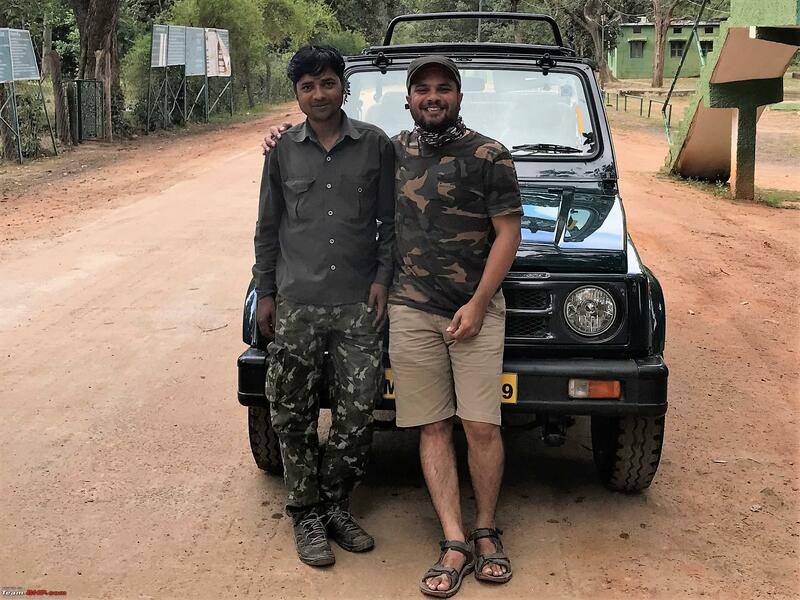 The traveler since then has visited many national parks, he’s been witness of wonderful sightings of wildlife and you can find him in various tiger reserves almost once a month. Itch to visit a forest starts so early this time, since all the national parks are closed till October. 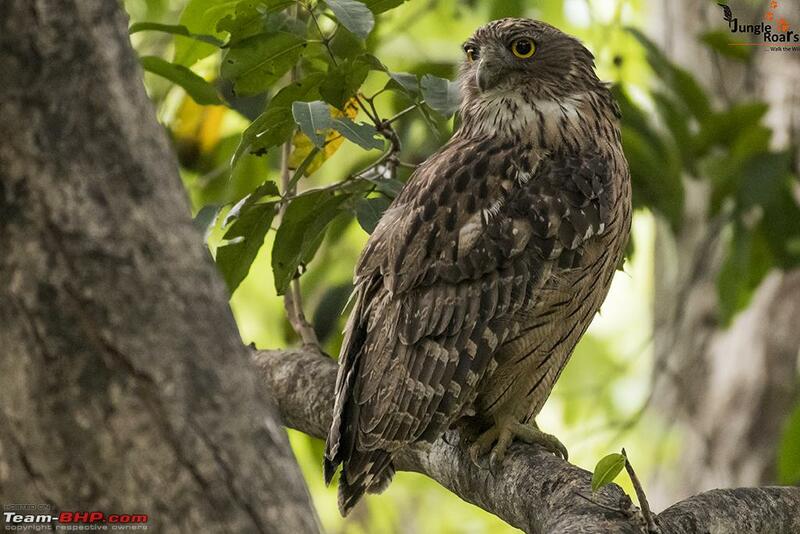 I call my contact at Bandhavgarh and books Safari for October. It is more than one month to go. 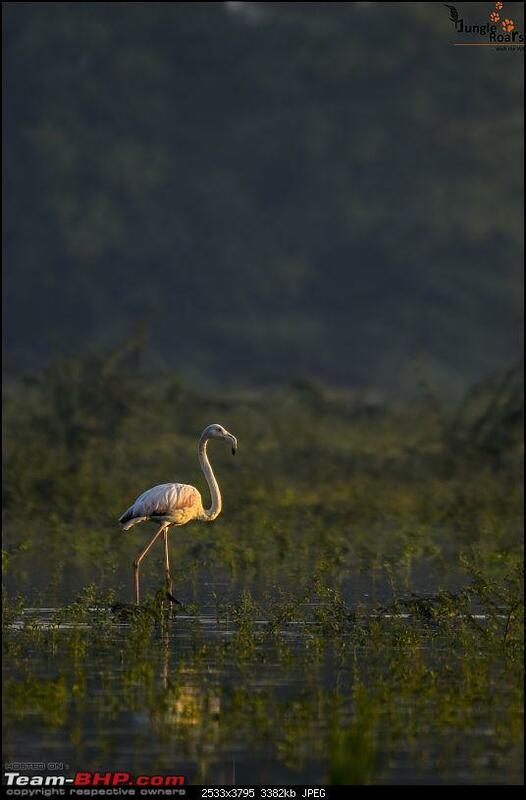 To calm down the thirst, I visit Thol lake (a bird sanctuary near Ahmedabad). 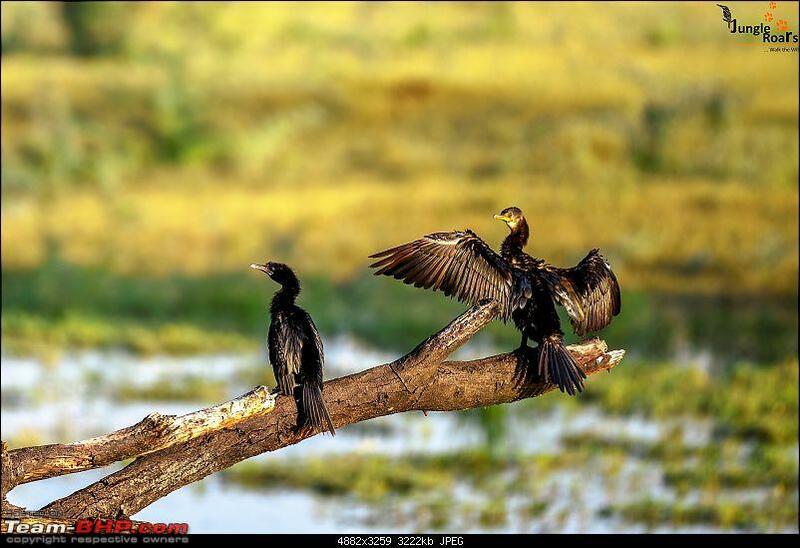 I generally drive to Thol lake early morning around 5:30 AM, do early morning birding and then comeback around 9:30 AM. Two visits of Thol Lake resulted in following. It also allowed me to get hold of my new lens Nikkor 200-500 f/5.6. Before going to office, I went to Nexa service center and got my Ciaz thoroughly checked. Also, went to my trusted tire/puncture shop to get my wheels checked for any suspect and air pressure. Printed all safari permits, checked the car documents and placed it in a file in the car, packed all luggage, bought few fruits and few water bottles to keep myself hydrated during the journey. Packing done, camera batteries charged, memory cards ready and I went off to bed. Here comes the D-day. Wake up early around 4:30 AM after good 6 hours of sleep and got ready to travel. My little one (she is two years old) also wake up early to bid a goodbye and to wish luck to me. 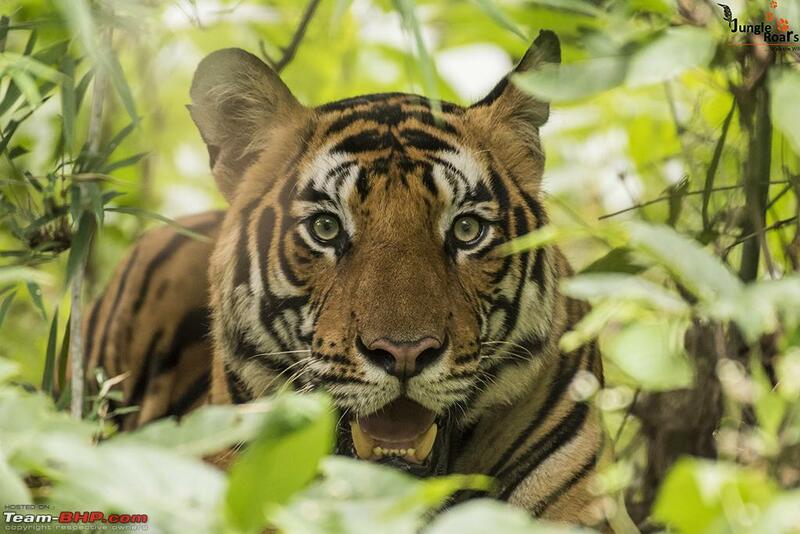 By the way, she allowed me to go only on a condition to get a good tiger picture for her (of course shot by me). I planned following route for my on wards journey. It has become almost a custom for me to visit Jabalpur to visit Bhedaghat and to take blessing of River Narmada before I move to Kanha or Bandhavgarh. I love to do so. I will take following route for my return journey. I started my journey to the wild at around 6 AM in the morning from Gandhinagar. I took SP ring road and took Ahmedabad-Godhra toll road. With butter smooth roads all around, I crossed Godhra and then Dahod very early. 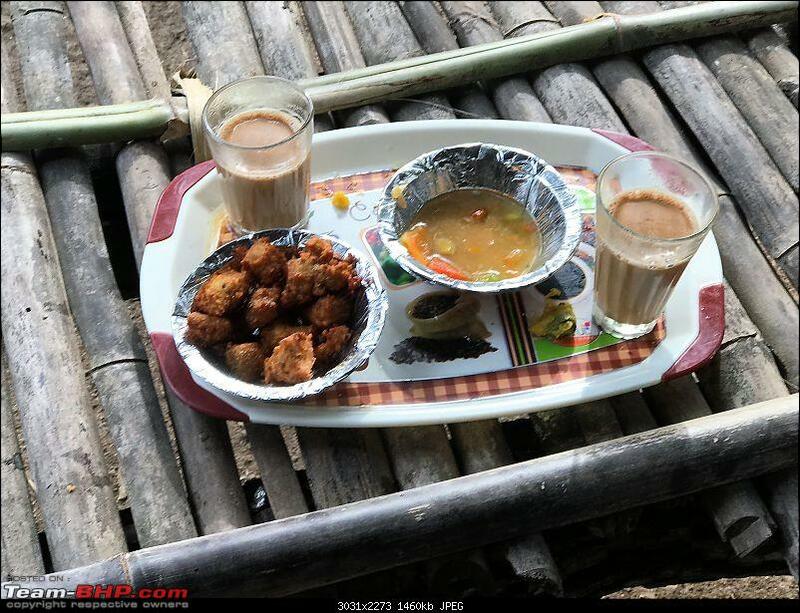 Once I entered in MP, stopped for fuel refilling and a tea break. 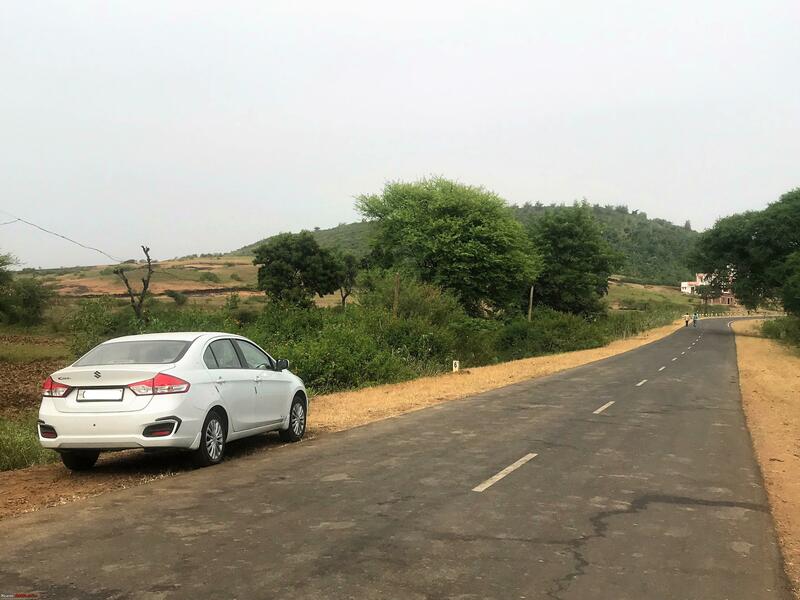 Roads till MP borders are superb and you can drive with decent three digit speed without taking risk. The tolls are on the stiff side in Gujarat though. Took light lunch of Daal-Chaval just after crossing Indore. Took some rest and then started towards Bhopal. Took Bhopal bypass and headed towards Sagar via Vidisha. I took few bio breaks and tea breaks in between. A truck accident and road widening work at Vidisha wasted almost 2 hours. After crossing Vidisha, I thought that the ordeals are over but that was not supposed to be. Google Map suggested a road which took me inside narrow lanes of Sagar city and since it was Navaratri and pooja time, each small street was full of crowd and somehow I could escape myself from those busy streets after one hour. 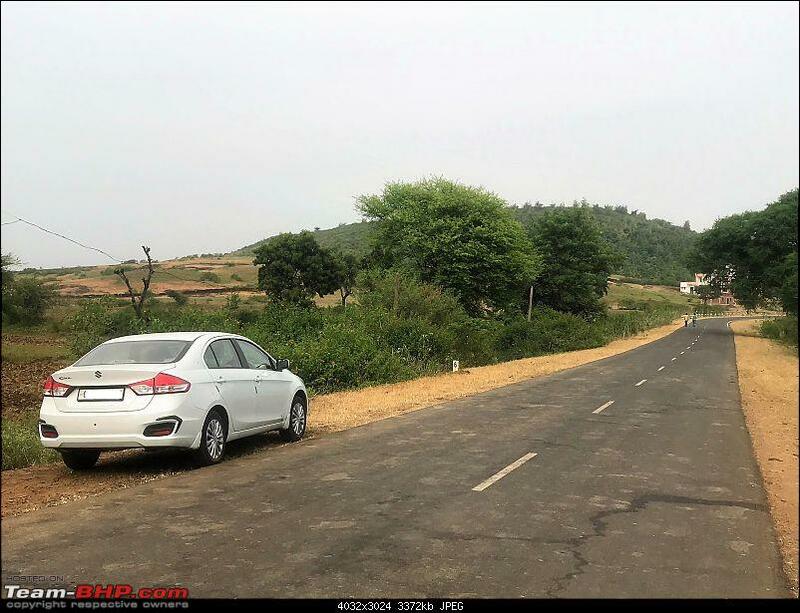 Once crossed Sagar, I took the Jabalpur road which passes through few forest patch. I was very careful while driving on that patch since it is the time (almost 1 AM) when animals are most active and road crossings are frequent. 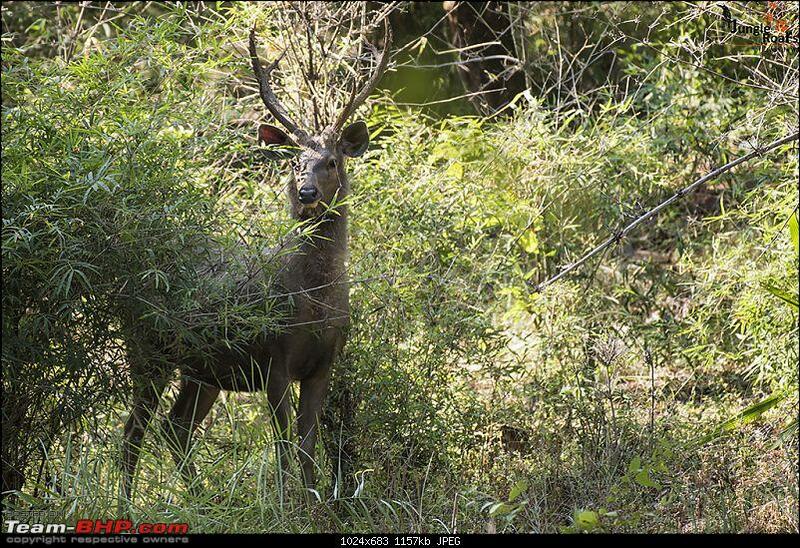 I encountered Blue bull, Sambar deers, Jackals, Asian Palm Civet and a Fox on the patch. Since, I was driving very late night; I didn’t stop for photographs here. 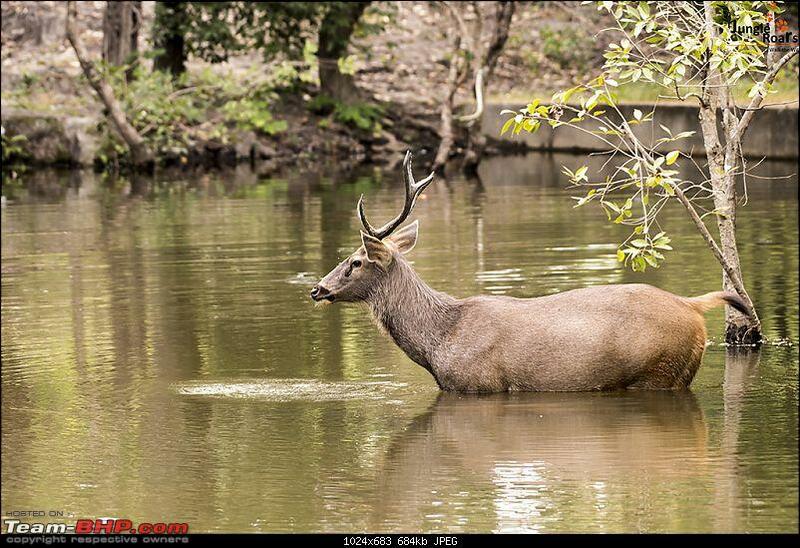 At one place, I saw two male Sambar deers and one female Sambar deer lying on the road. Yes, they were dead and dead because of road accident. I was very sad watching that scene. Every 500 meters, sign boards were requesting to drive slow since it is animal crossing patch but who obliges!!! I informed about location and incident to nearest forest check post and moved further. Quickly I reached Jabalpur and checked in to one of the OYO rooms. Took a shower and crashed for the night. Original plan to reach Jabalpur by 11 PM went for a toast because of unplanned delays and I reached Jabalpur around 2:30.
a) Roads in MP were in very good state but I found one strange thing. They were very inviting, you start driving at good speed and suddenly you encounter a pothole in the middle of highway. Sudden breaking can be very dangerous so be careful on those roads. b) Toll amount was decent compared to toll amount I paid in Gujarat. c) Road widening and flyover work is going on at Devas, Vidisha and Jabalpur. Big potholes and free-flowing dust all around are common scenes at these locations so please drive carefully. d) I am yet to find out a route which actually bypass Sagar city and not even goes through a single small lane of the city. e) Petrol pumps, Eating joints(read Dhaba) are available throughout the road. Reached Bandhavgarh, my second home at around 6:30 PM. Next three days will be me and wildlife. Checked in to the hotel, got my bean bag filled, had light dinner, kept my camera, safari permits, ID card ready and slept. Wake up at 4 AM in the morning. Just went outside the room to get the feel of early morning atmosphere at the forest. It was bit cold outside and it was soothing indeed. 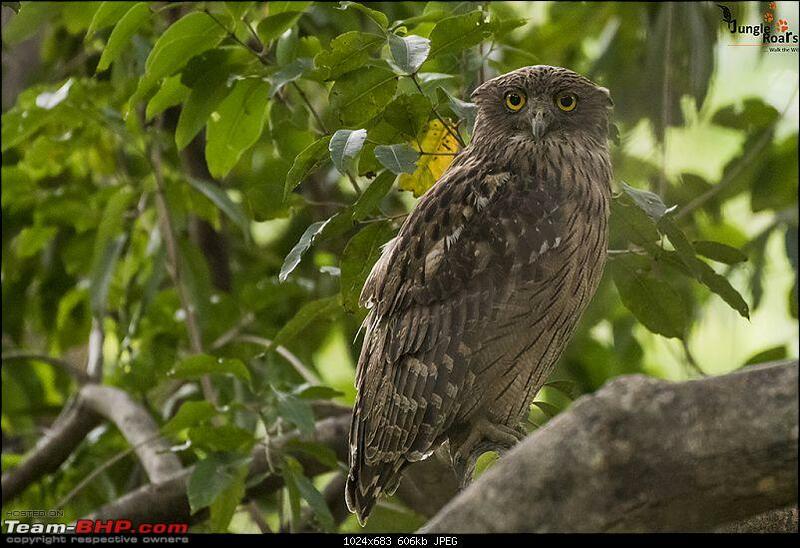 Got ready around 4:45 AM and here comes my pal for all my Bandhavgarh sojourn, Vikas. 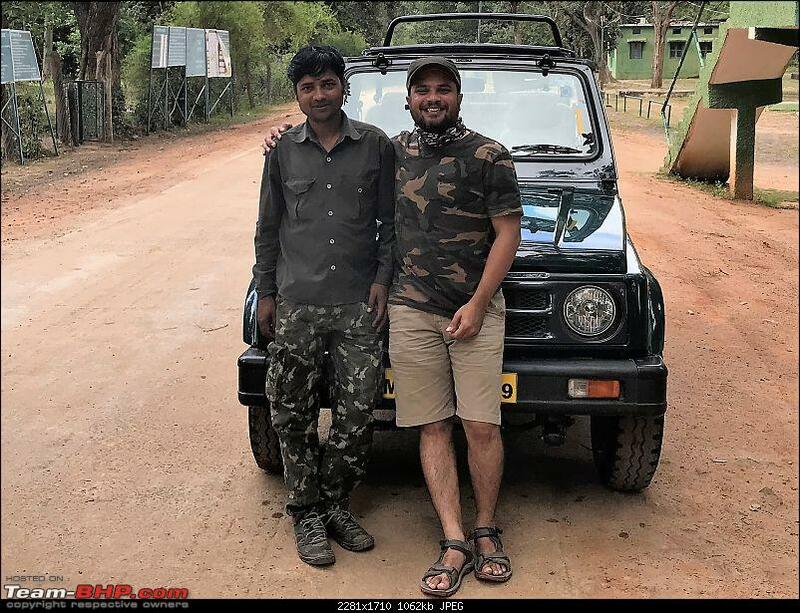 Vikas is driving gypsy at Bandhavgarh since long and he is the one who introduced me to the land of tigers, Bandhavgarh. Since then, Only he drives me inside Bandhavgarh. He never obliges to what I say, he stops the gypsy at his will, he takes me to the routes at his will but he makes sure that I get best of Bandhavgarh. Respect…. As usual, we reached to Safari gate at 5 AM and ours was the first and only gypsy there (somehow, I love to be first entering into forest). Lots of deer mating calls, few alarm calls from far distance, jungle babbler sounds and clear sky with full stars were greeting me. Slowly others joined the queue. ID card got checked thoroughly along with permit and the gates opened sharp at 6 AM. 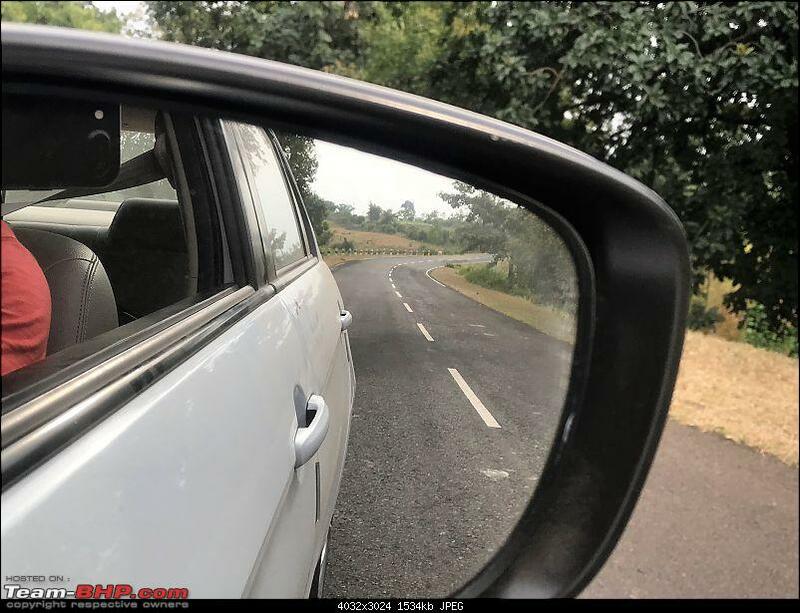 We passed through various known patches of Bandhavgarh like Jamunia, Siddh baba temple, Chakradhara Meadows, Rajbehra meadows, Sehra meadows and so on… We saw fresh pug marks of tiger at many places but no sighting yet. 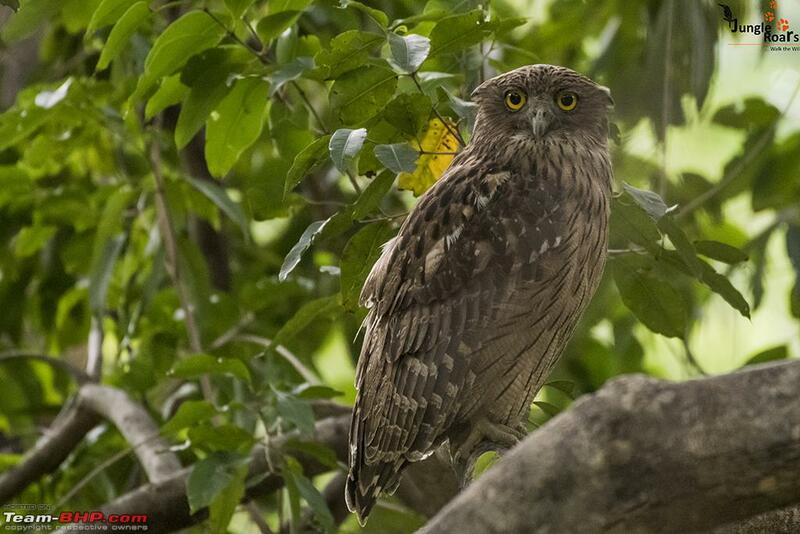 En route we sighted spotted owl, barking deer, wild boars, sambar deers, peacocks, vultures. Only negative was, we couldn’t photograph all since the light was almost non-existing for photography needs because of bad weather. Cyclone Title near Odisha might have played a big role here. After 9:30 AM, we again decided to check the locations where we found pug marks. We literally made 5-6 rounds of a place called ‘Aama Nallah’. Each time we noticed few things. No herbivores present, no langur on the tree (who can alert us for predators), fresh pugmarks showing movement in both direction. We decided to stop there for some time. After spending more than half n hour, we decided to make one more round of same place. We were moving very slowly looking here and there for some signs of the predator. 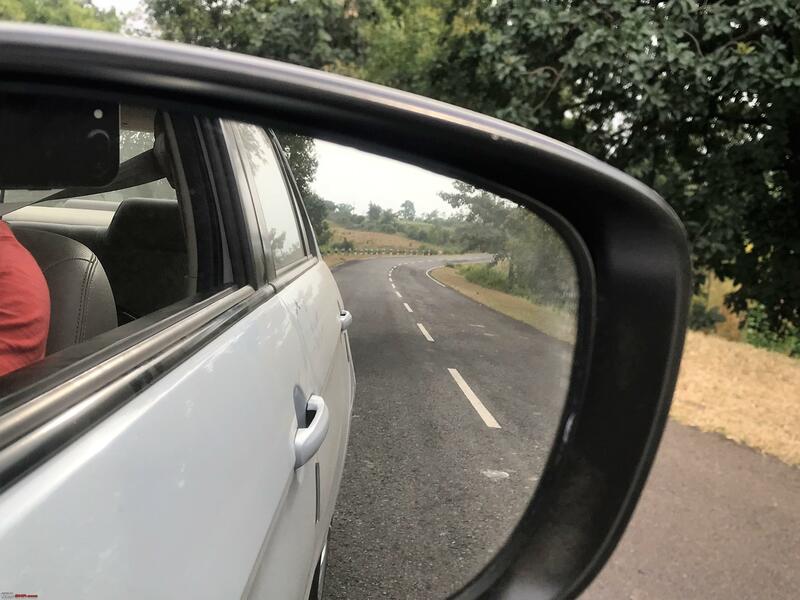 Suddenly I whispered,”Mene tiger ka face dekha shayad”… Vehicle reversed and what we see, a tiger sitting just near the road in bushes and waiting for the vehicle to move away so that he can cross. It was very close encounter from gypsy. Happy after the sighting, we move further towards exit gate. 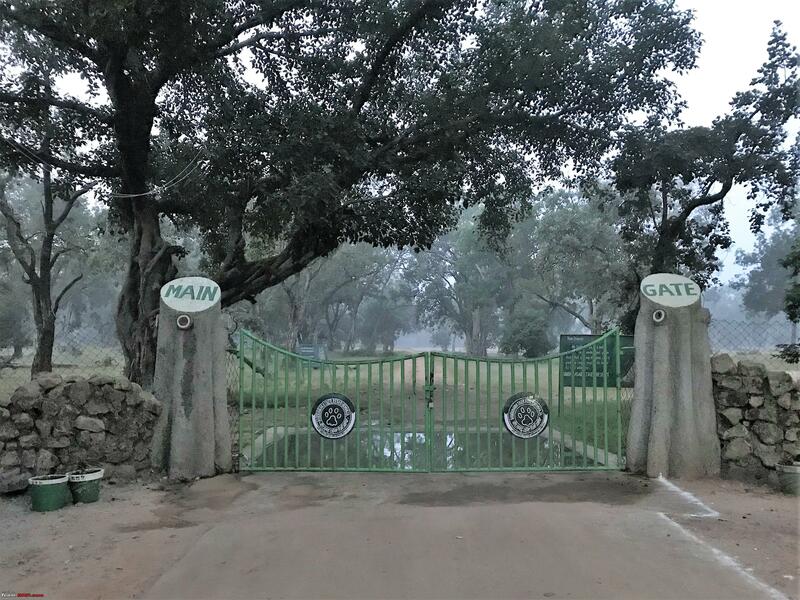 Just few distance before exit gate, an area called ‘Bhithri Meadows’ comes. We were casually moving and scanning that area for any animal. We experienced a strange thing there. There was a source of water right in the middle of the patch and few chitals were standing some distance away from the source. They somehow wanted to drink the water but were hesitant going near the water. They might have smelled something fishy. We still had 15-20 minutes left so we decided to wait for 5-10 minutes. Barely, 2-3 minutes spent and a jungle fowl ran out of twigs near the water source while making distress sounds. 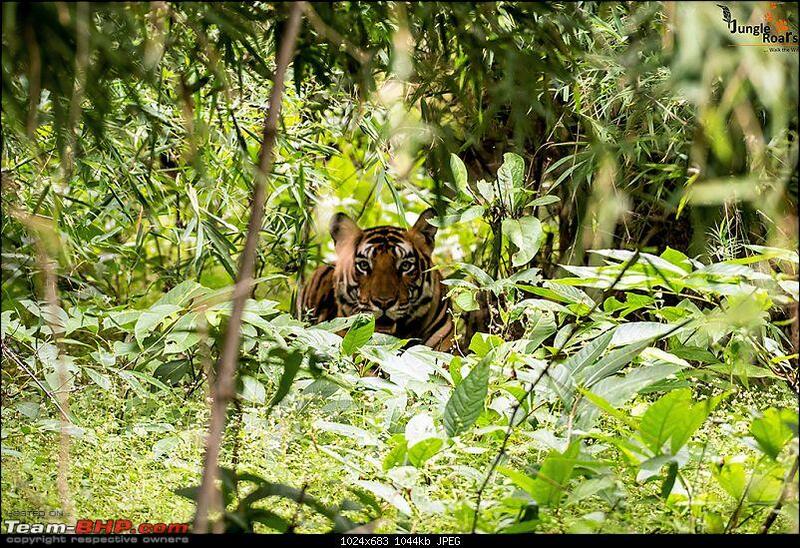 And what we saw after that was a sighting of another male tiger( we couldn’t find out his identity since he was moving mostly inside bushes and no left or right flank or no face was clearly visible). From his movements, we could understand that he was an adult male tiger on the mission to kill. He vanished inside thick bushes and it was time for us to move out of forest. Happy with the sighting, we came out, had a cup of tea. Vikas dropped me to the hotel where I stayed. I took a bath, had a brief snooze and after lunch, was ready for afternoon drive in forest. 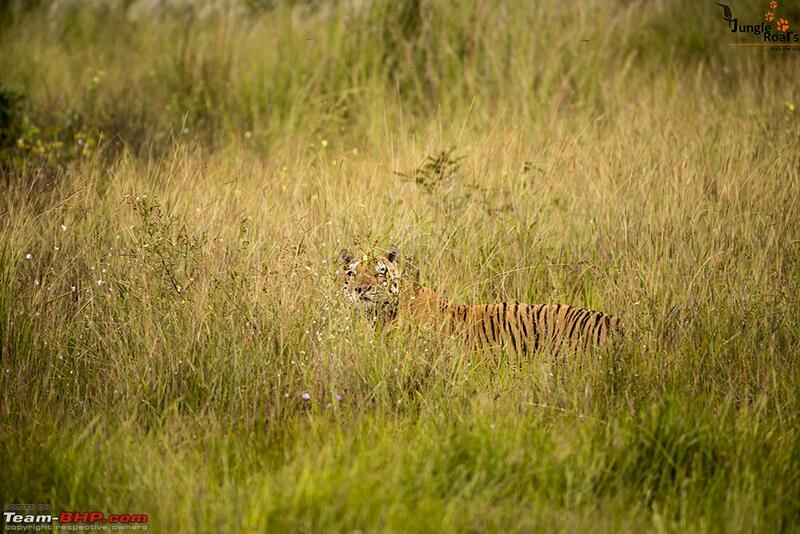 I was again visiting Tala zone in the evening and was hopeful of another sighting of tigers we saw in the morning. 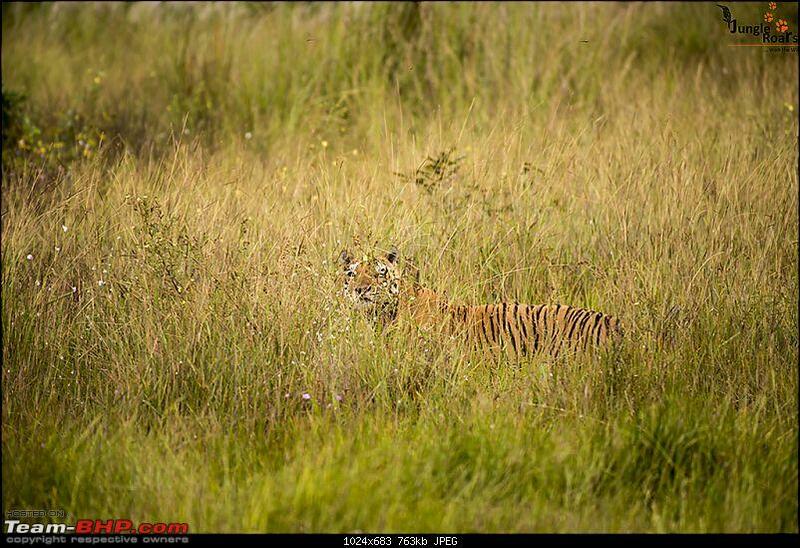 We had location of two different tigers since we had sighted them in the morning. Generally wild animals don’t like to move during the afternoon hours. They rest during those hours and starts their movement in the evening again. We thought that we might find them around same places where we left them in the morning. But no…It is nature and it is always unpredictable. We think many things but do they happen? No…here it was same case. Because of complete cloudy weather and bit cold, there were heavy movements of animals during afternoon hours. 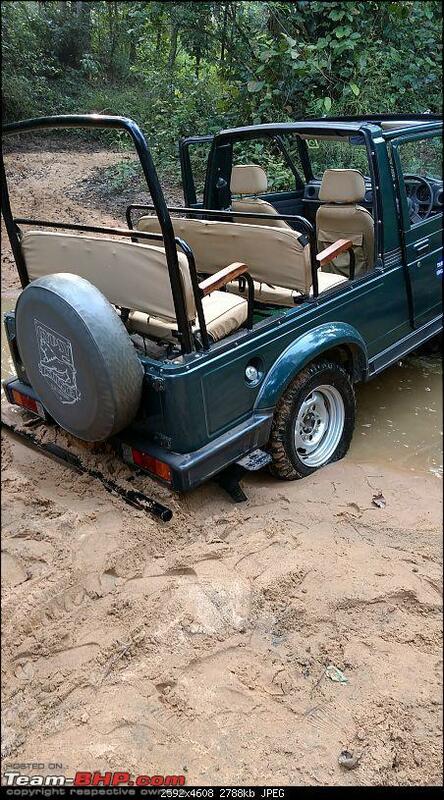 Added advantage for them is, there are no safari vehicles during that period and they can move freely. We could see lots of pug marks flowing to both directions. 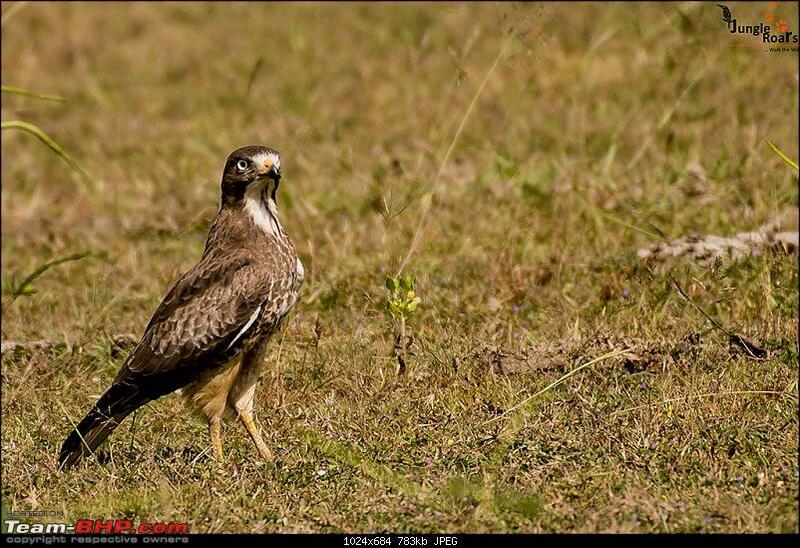 We could understand that they have moved from their sighting places and if they were successful in their kill somewhere, we might not be able to find them near road. We scanned almost all areas in our route without any sighting. Everywhere we could see herds of herbivores, langurs playing on the trees. 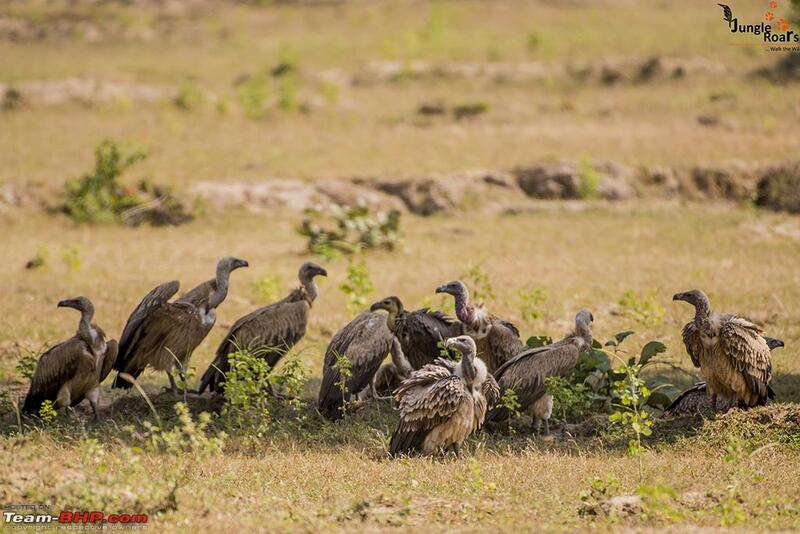 We also saw few vultures feasting on left over kill. It was time to move out of the park. This was our last safari in Tala zone. As usual, we reached the gate at 5 AM and the wait game began. The route allocated to us was slightly different than the one in yesterday. 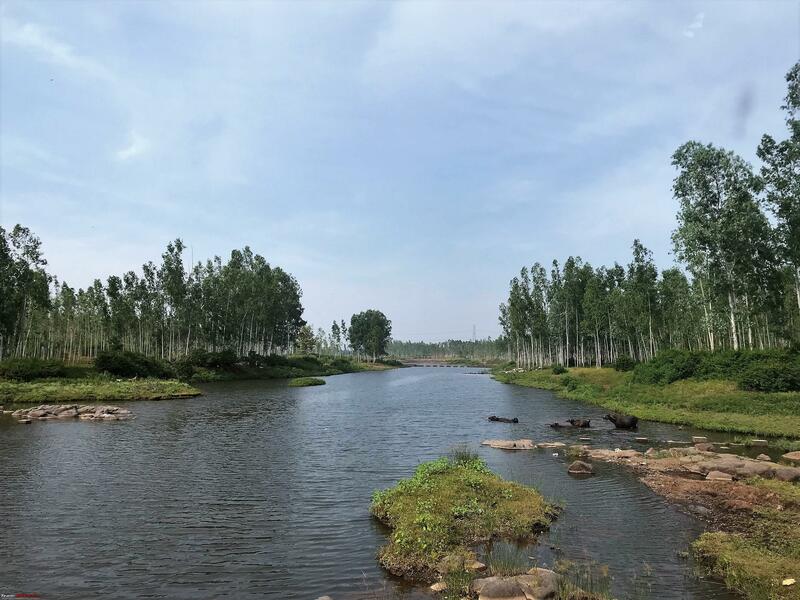 We took a left from Chakradhara meadows and passing through Gopalpur Lake, Ghodademon, Sita Madap, Rampur Tiraha reached an area called Andhiyari Zhiriya. 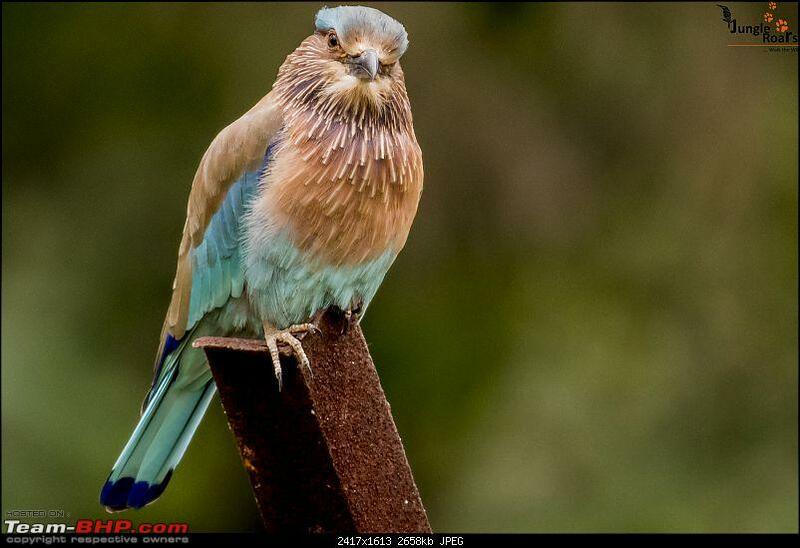 We saw Malabar Pied Hornbills, Paradise Flycatcher, Green Bea eater, Indian roller, Drongo and Parakeet en route. After spending more than one and half hour, we reached to the center point. For uninitiated, center point is the point where gypsies arrive in the morning ride and make entries into registers maintained by Forest department. Center point is the only point during entire safari where we can get down of the gypsy, have a loo break, have a cup of tea or have breakfast( in case packed from your hotel). After ten minutes break and gathering data of pugmarks or other sightings from other gypsies we moved forward. Till now, there was no sighting reported anywhere. 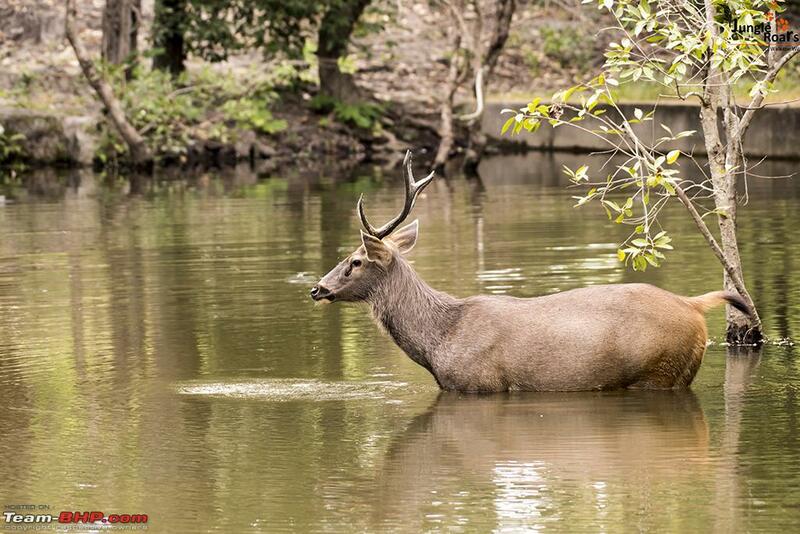 Barely fifteen minutes after we left the center point, we heard very loud “khonkkkk” sound from a Sambar deer. We immediately stopped our gypsy. We could sense movement of a predator nearby since langurs were also making distress sound. The area where we were standing is territory of a female tigress called Spotty. Spotty has recently given birth to four cubs and they are just one month old. Since mother doesn’t leave such small cubs for long, possible movement of such tigress should be always nearby the cubs. We waited patiently for half n hour and other gypsies also joined us. As time passed, others lost hope and one by one they moved. There were only two or three gypsies left at the spot. Time was running out for us as well. Suddenly, one more Sambar alarm call nearby and all eyes were at the direction where the Sambar was watching. And the patience paid. Spotty female came out from the bush and crossed the road just in front of our gypsy. 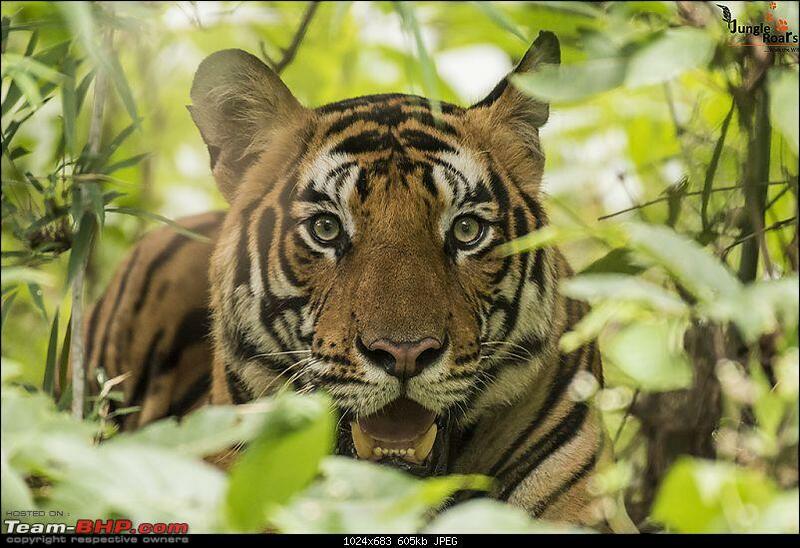 It was so close encounter that I was struggling to frame the tigress in 200 mm focal length. Nonetheless, she left in no time but provided us with very good sighting of her. Alarm calls of deer and monkey before she arrived. Again, it was time to move out of the park and we left the park with wonderful memories. 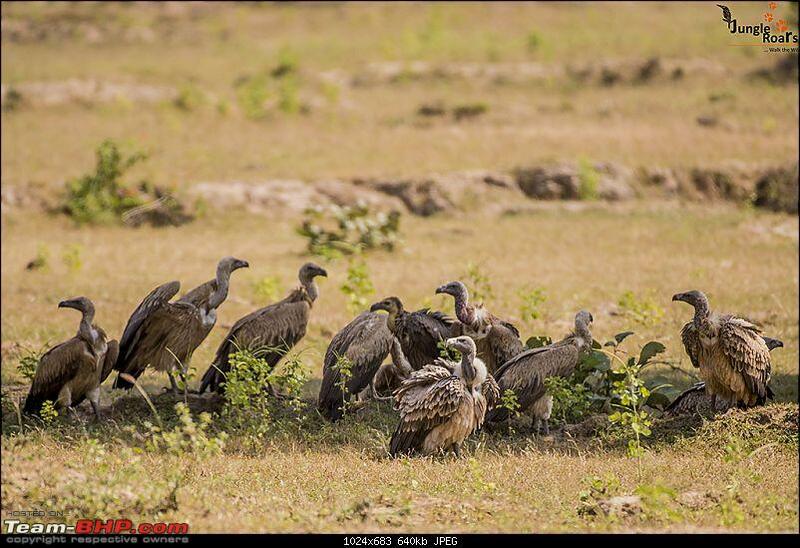 We would visit Magdhi zone of the park for next two safaris. 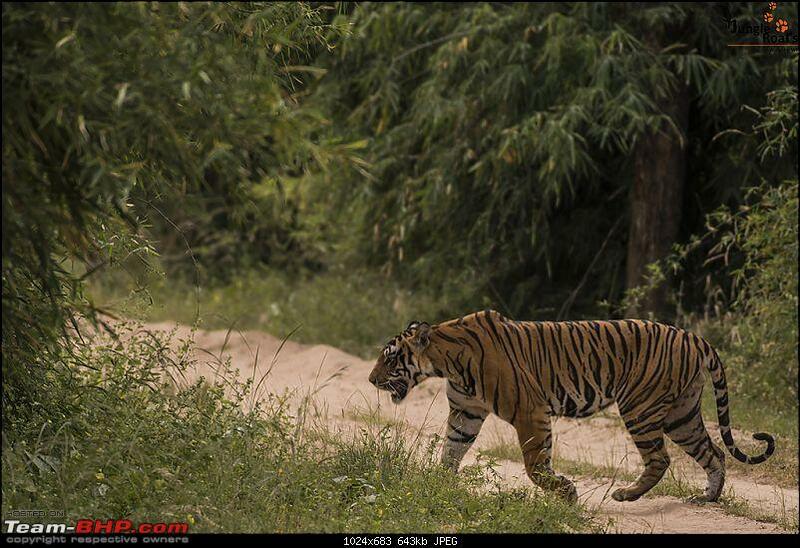 Though, most of my wonderful tiger sightings have happened in Tala zone, when it comes for vegetation, foliages and scenery, I will prefer Magdhi zone over Tala zone any day. 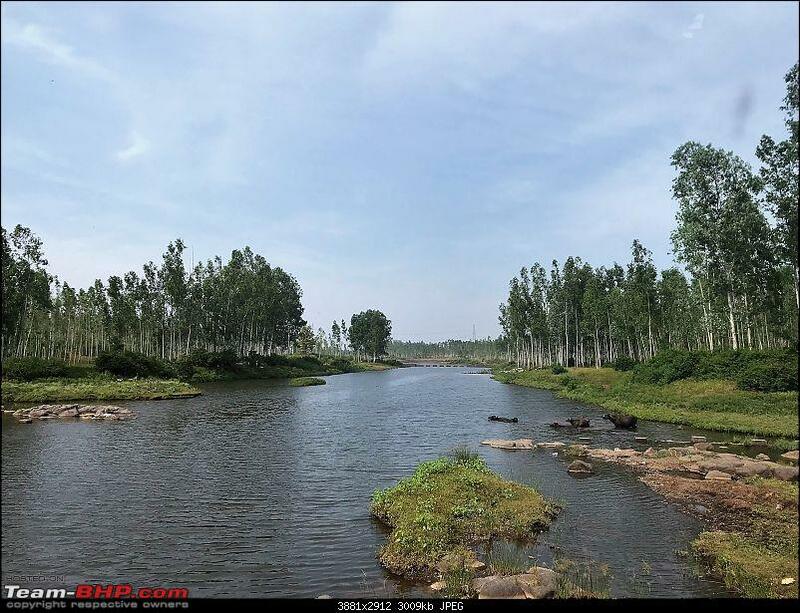 This zone is situated 6-7 kilometers away from Tala village. En route, you can also see many wild animals. 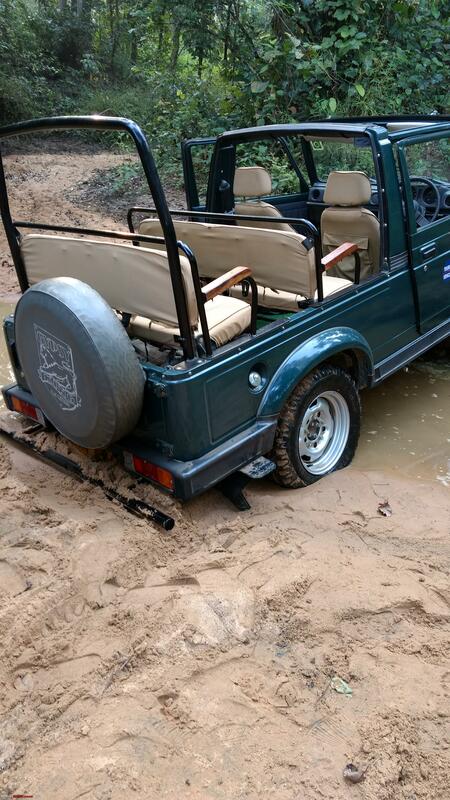 We had wonderful safari experience in Magdhi for 2 safaris. 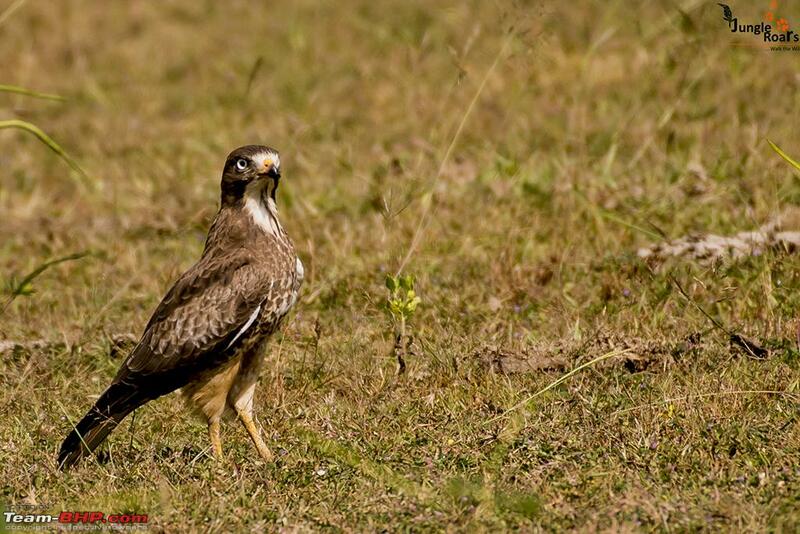 We sighted Sambar deers, Chitals, Jackals, Fox, Vultures and many birds. During these safaris, at one place we were hardly 50-100 meters away from mating leopard pair. We could hear their noise but because of thick foliage, we couldn’t sight them. 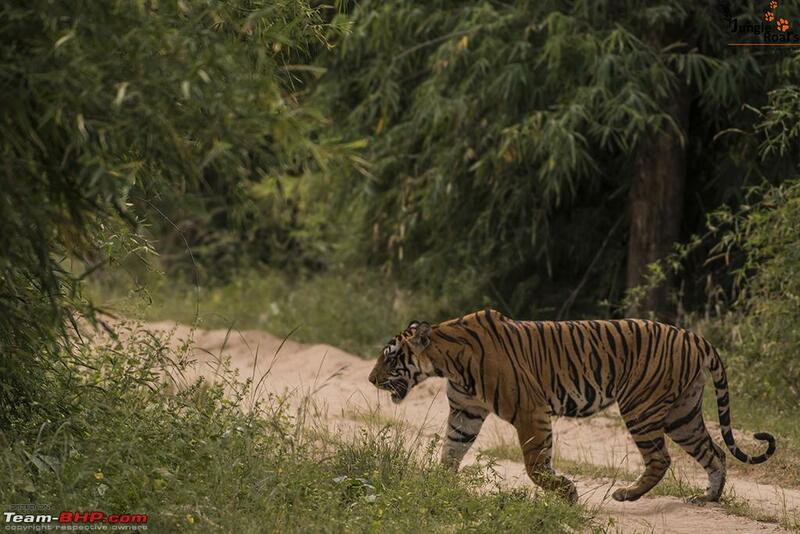 We sighted 3 tigers during Magdhi safari but I didn’t even try to capture images of them. There was a tigress called Junior Kankatti( junior since senior Kankatti was a tigress few years back in Tala zone). Her untimely demise (many reasons including poaching but I am not sure about exact reason of her death) left 3 of her cubs (I believe hardly 2-3 months of age when she died) orphaned. For first month their father Junior Bamera (few call him Mr X) took care of them and he was there with them for full time (which is unusual for a male tiger). Sensing danger from other tigers, forest department created a fenced enclosure and the cubs reside there. They have grown up now and at the age of 2.5-3 years, they are learning the skills to survive in wild. Good that they have learnt to make a kill and recently they killed a sambar deer. Their father still visits the fenced area and they communicate in growling language. I felt very bad for them and didn’t want to capture them in enclosure. I am pretty sure and hopeful that one day they will move out of enclosure and have their independent life in the wild. Tomorrow will be my last safari for October and that will be in Khitauli zone. One of the three core zone of Bandhavgarh is Khitauli. Again, you will see different foliage and vegetation here. I found less number of herbivores present in this zone and that sometimes make predator tracking difficult. We could see wild dogs here from far distance. We also saw cobra snake here near a water body called Dham Dhama water body. 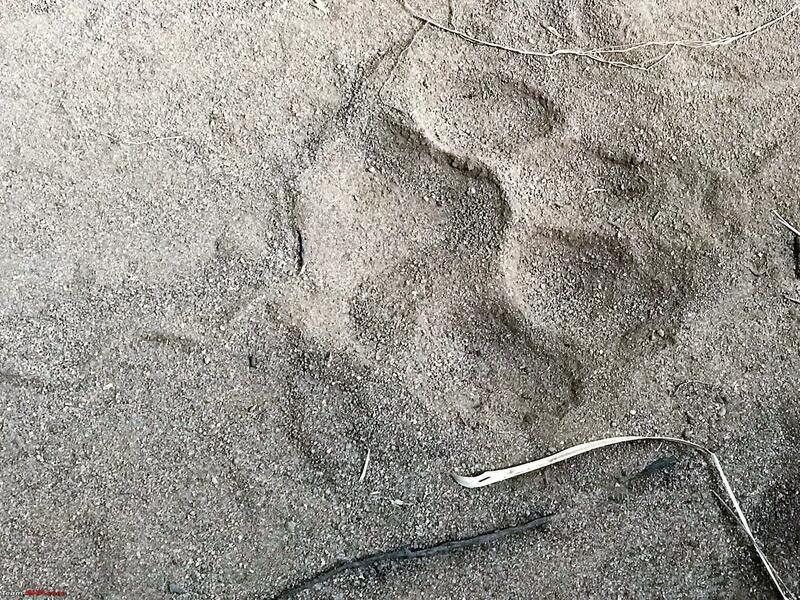 En route, we saw large pug marks of a male tiger and we followed them. We came to a junction where the pug marks were vanishing inside thick foliage. 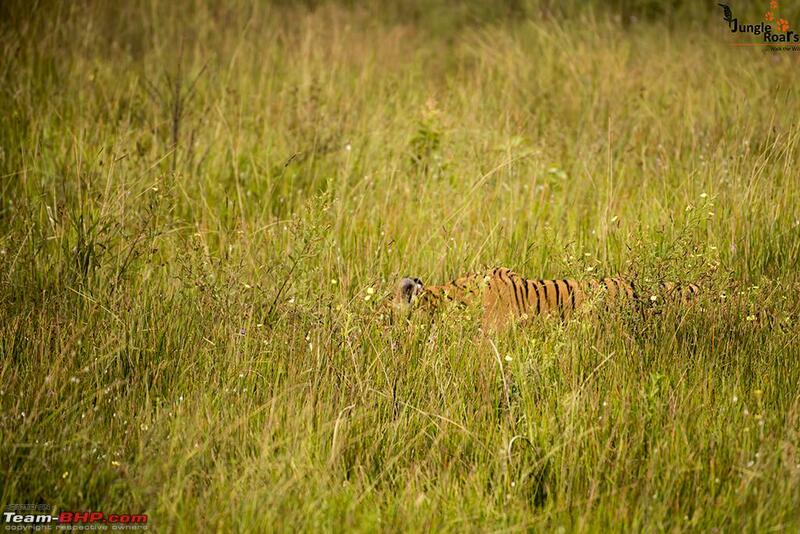 We waited there for some time and suddenly our guide saw a tiger resting inside thick foliage. He got up for a minute and then again rested. As per the guide he was a male tiger called Bheem. Since he was inside the foliage, we couldn’t take pictures of him. We spent some time hoping he might get up and come out. It didn’t happen and it’s again time to leave the forest. We came out of forest and this ended another Bandhavgarh sojourn. 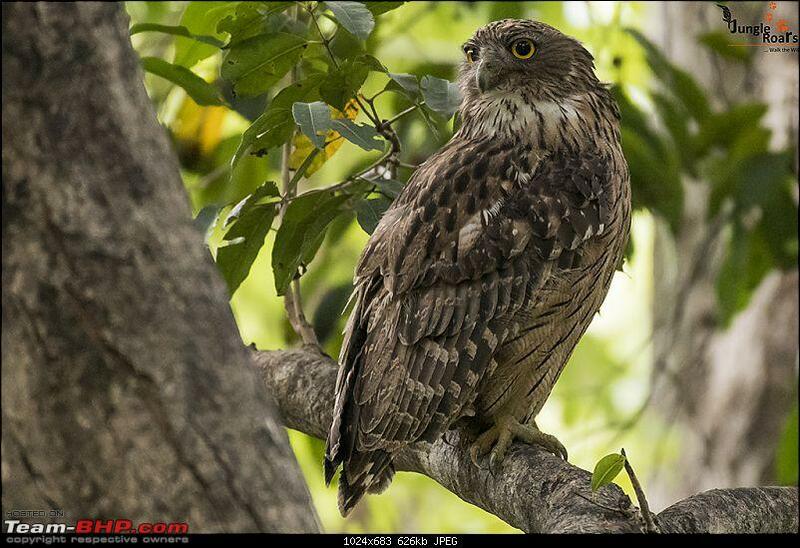 I will again visit Bandhavgarh in December. I have my Ranthambhore, Gir tour scheduled before that. The gate I will love to cross all the day. Without him I couldn't have wonderful wildlife memories...Vikas with yours truly. Immediately after safari, I bid goodbye to Vikas and left Bandhavgarh. Since I was not visiting Jabalpur while return, I took Umaria-Katni-Damoh-Sagar-Bhopal-Indore-Dahod-Gandhinagar route. I was planning to take some rest at Sagar. Took dinner at road side dhaba at Damoh and then reached Sagar around 2:30 AM. Found a petrol pump nearby. Went there, applied odomos, rolled the windows bit down and snoozed. Wake up again at around 5:30 AM and after a cup of tea, started the journey again. Stopped at Bhopal by-pass and had again a cup of tea. 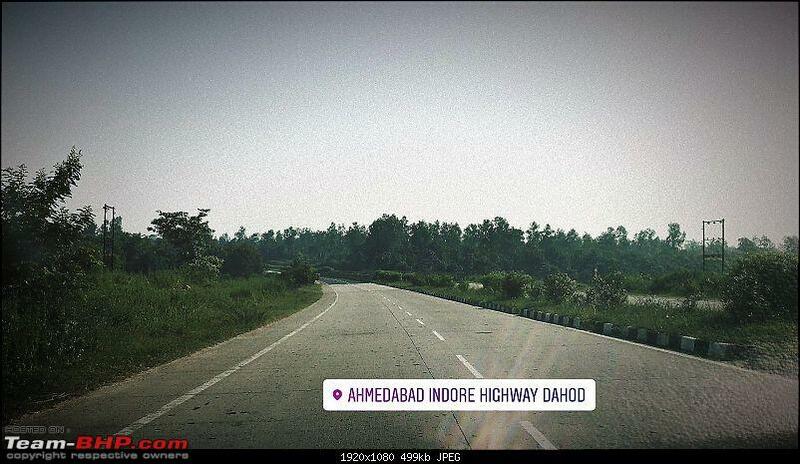 Next stop was Indore for quick-lunch and started towards Dahod. My target was to cross notorious Jhabua-Dahod patch before sunset and I could do it comfortably. Took a small break after entering Gujarat and then started towards Gandhinagar. I reached home at around 7:30 PM. First thing I had to do after entering home is to show the picture of tiger to my little one. I also bought few souvenirs from Bandhavgarh for family. Super travelogue jungleroars, many thanks for sharing . All the photographs are simply stunning . Kudos to your photography skills. Welcome to the forum Tejas. Brilliant pictures & wonderful narration. 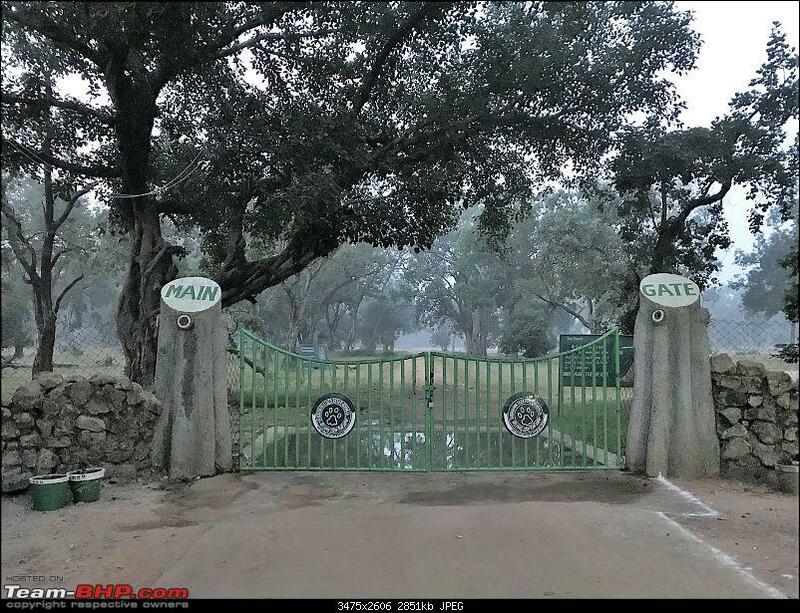 I have never been to the MP sanctuaries but have spent a lot of time at Corbett. Its great that you got to see multiple tigers here. At corbett it's always 50/50. Also, loved your camaraderie with Vikas. A lot of people don't trust the guides and lose out on wonderful opportunities. PS. I stay in Ahmedabad too. Let's do a city meet-up someday. What an intro buddy! Great narration and awesome pictures. Wow, that must have been an experience. Great stuff there Tejas. Good pictures as well. Can we expect the junior to become a future wildlife enthusiast as well? Thanks for sharing. Looking forward to more such reports for you. An excellent write up with amazing photographs. Thanks for sharing. 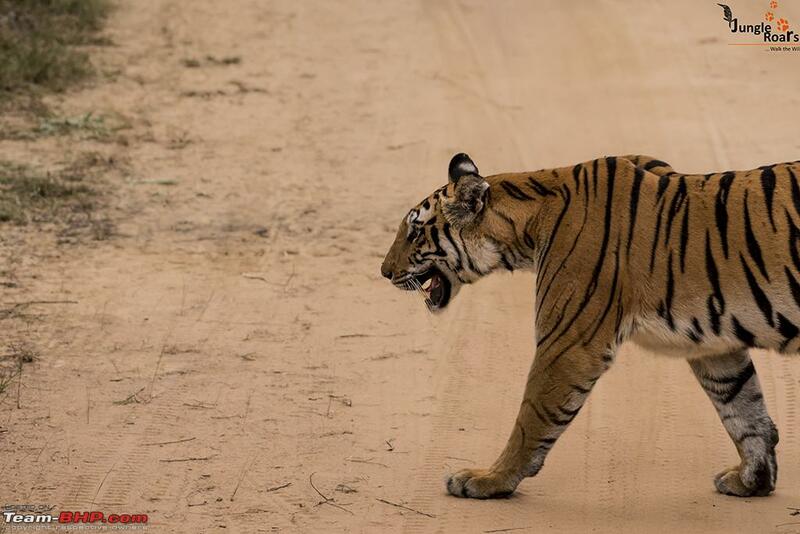 I roamed/ visited almost all the major tiger reserve but never got a spotting of the big cat. “Sir, tiger ahead…” must have been an exciting experience. By the way, welcome to Team-BHP. Beautiful pics. Glad you have such a connection with Nature. Please tell me what is the species of snake in the first frame? Was he/ she a Cobra? The sighting lasts for more than 25 minutes. 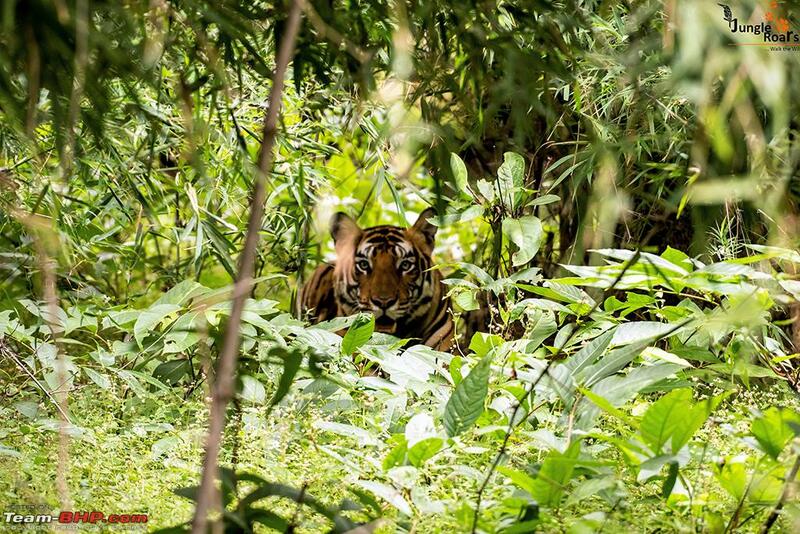 The tiger then vanishes deep into forest. The safari ends. But, what starts is never-ending love for wildlife and forest in the heart of the traveler. 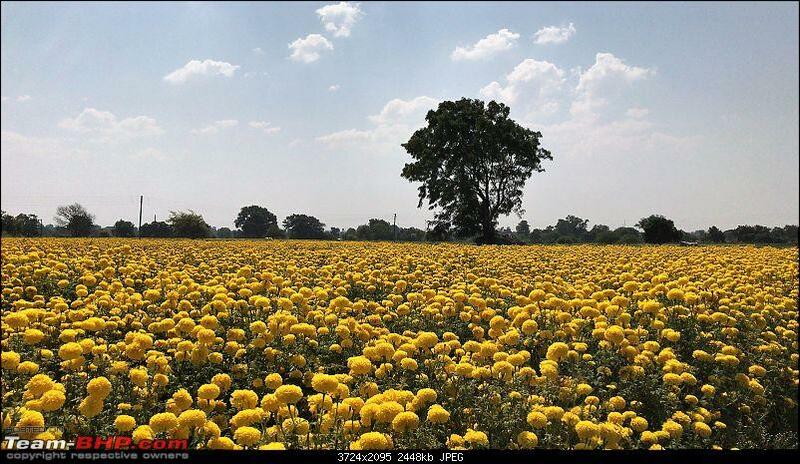 Wow nice intro into the Travelogue forums, Tejas. 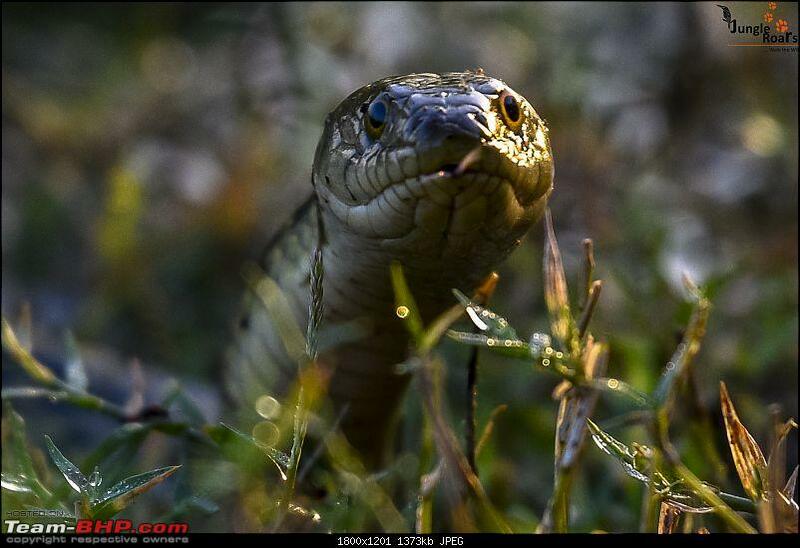 That very first snake photo is awesome! Looking forward to seeing many more from you. We've visited Bandhavgarh twice but haven't been fortunate enough to spot a tiger even once on any of our visits! Rating your thread five stars. Beautiful! Great stuff. Loved your narration and your photography. And delighted that you have the same passions that i have. 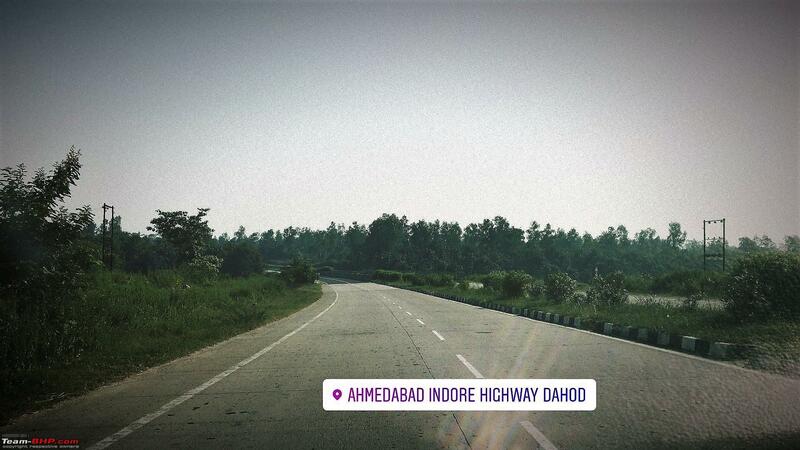 I too, drove from Ahmedabad to Bhandhavgarh; and yes, via Indore and Bhopal. And double 'yes': stopped at Bedaghat! 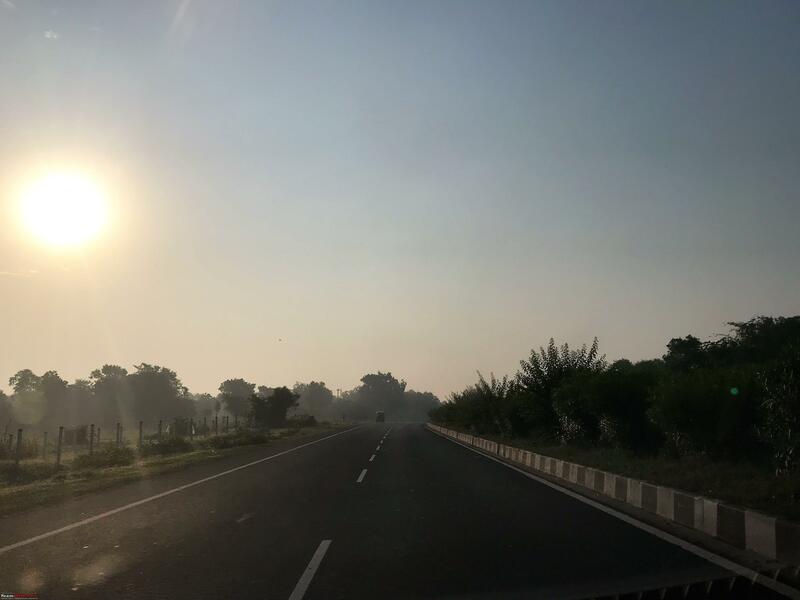 While coming back, i went to Khajuraoh (Panna national park), Orchha, and came back via Kota-Udaipur-Ahmedabad route. It was fun. At that time they were building cement concrete roads in the buffer area and roads leading to the gates. Narrow ~10 feet roads and with the shoulders at least a foot lower. Disgusting to spoil the forest thus. And dangerous too, since people would speed and animals could get harmed. 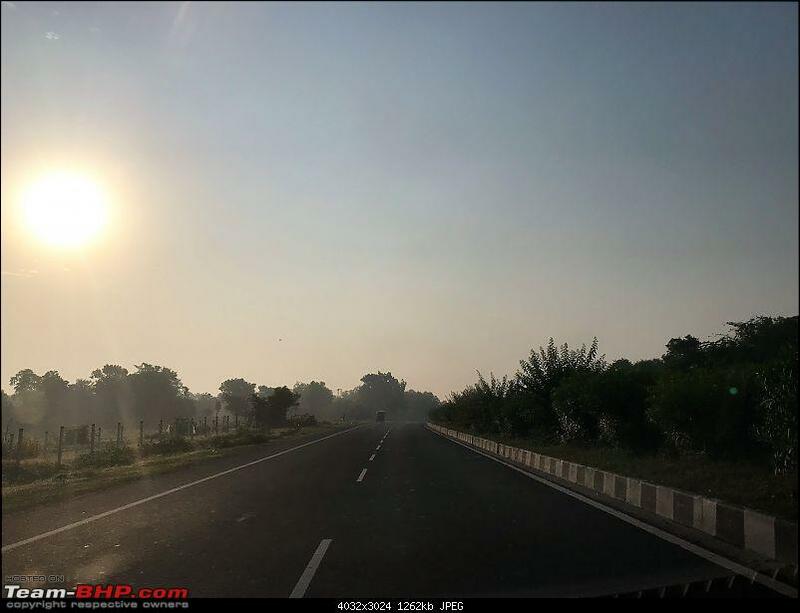 A T-BHP Ahmedabad meet/ trip to a wildlife park would be welcome. Last edited by earthian : 29th October 2018 at 13:30. Reason: voted 5 stars-keep it up. A traveler in Gypsy, shivering in spine chilling winter morning passes through ‘Chakradhara’ Meadows of Bandhavgarh National Park. 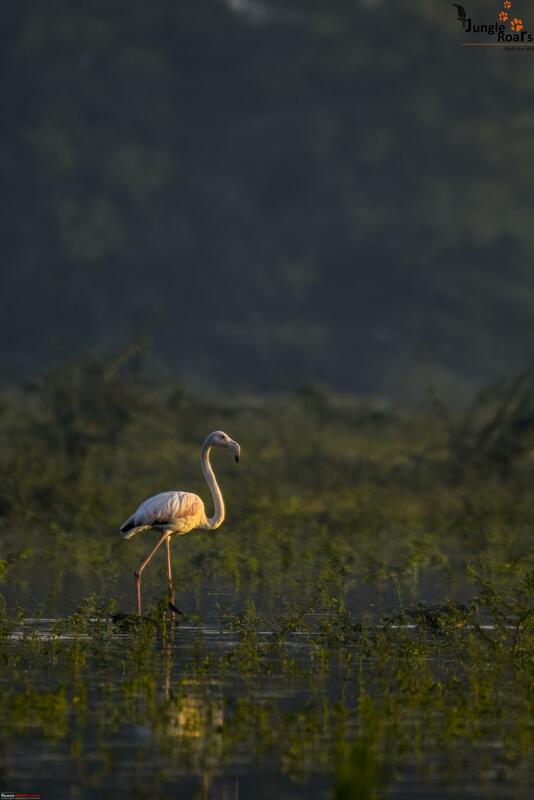 He witnesses few Chitals grazing here and there, few early morning birds, a lone Sambar deer grazing and many such wild animals seen around. Unknowingly the traveler is falling in never-ending love with this forest. Fascination of wildlife is gripping him all around. He was wondering is this what a beautiful forest is all about! Suddenly, the gypsy stops near a place called ‘Sita Mandap’. Damn, What a start! Do you write for a living? will be using your pointers this time, let's hope for the best. Fantastic write up Jungle Roars. 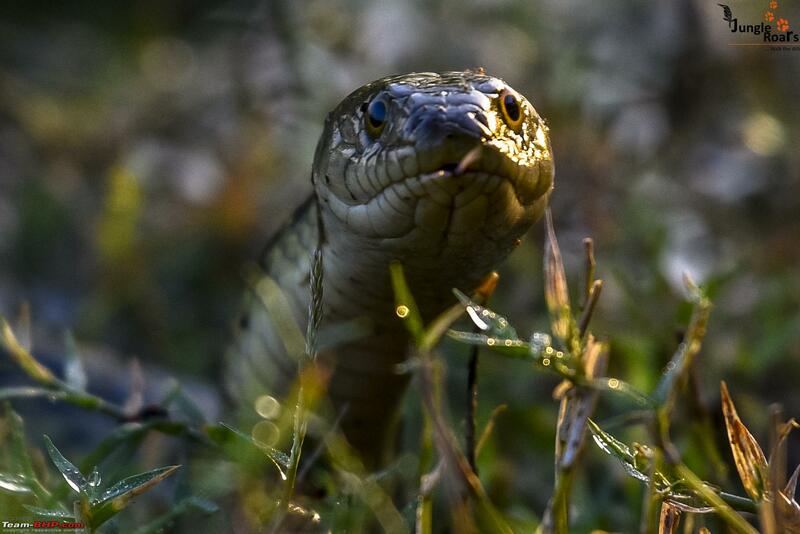 The snake photo is awesome. One of my office colleague is a wildlife enthusiast and roams from Jungle to Jungle. We call him Tiger. He claims to get Motcha on spotting a tiger in the wild. I never understood what kind of addiction it is. But your words of describing the scene of first tiger sighting explains delicately the euphoria and the adrenaline rush. Thanks for writing, will look forward for your posts. Look into their eyes and realize why they are called "wild" animals! Intriguing intro and exceptional photographs @jungleroars. Thank you for sharing. Nice pics and narration, kudos for that. In fact last year around Diwali we had made a last minute dash to Bhandavgarh but could only manage booking for Safari in buffer zone. 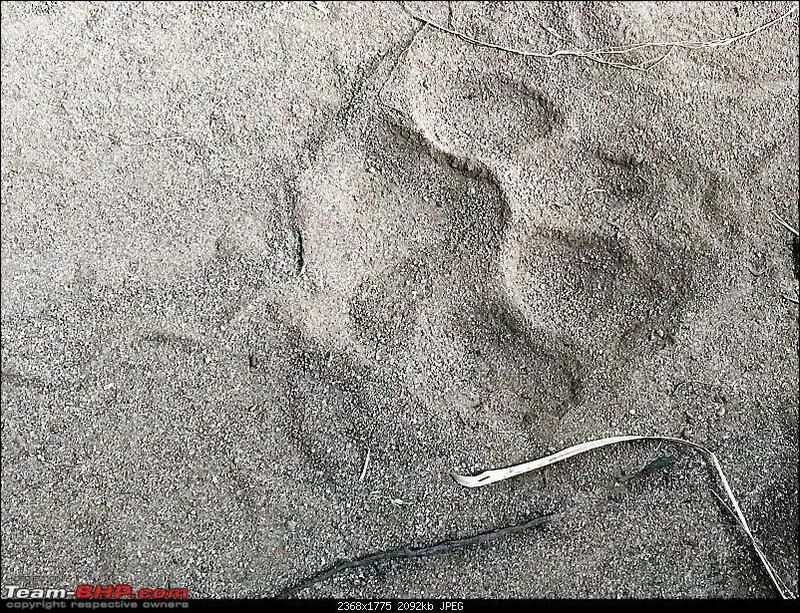 We had to be contend with sighting foot marks of tiger and other small animals like fox etc. 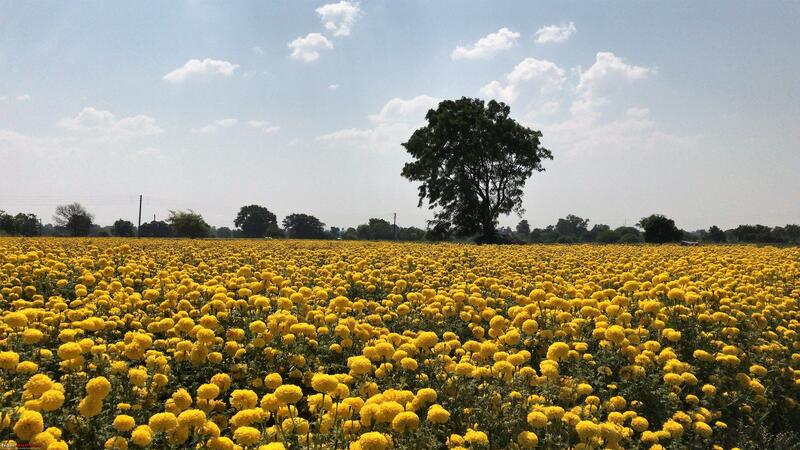 Definitely will be visiting again but with better planning, it's a must see tiger reserve. Thanks AutoIndian. Still improving on my photography skills. Learning from many stalwarts from our very own forum. Hey Tapish, great that you stay in Ahmedabad only. Let's plan a meet. You can inbox/mail me. Yeah, at Corbett its always 50-50. With god's grace, I have witnessed tigers like Khali, Sharmilee and cubs, Parwali, Thandi sadak tiger there. Will share it soon. Thanks for your appreciation blackwasp. Junior has already started playing with my old Canon 550D. I have deliberately kept my first DSLR for her and it is in great working condition. Thanks SJM1214. 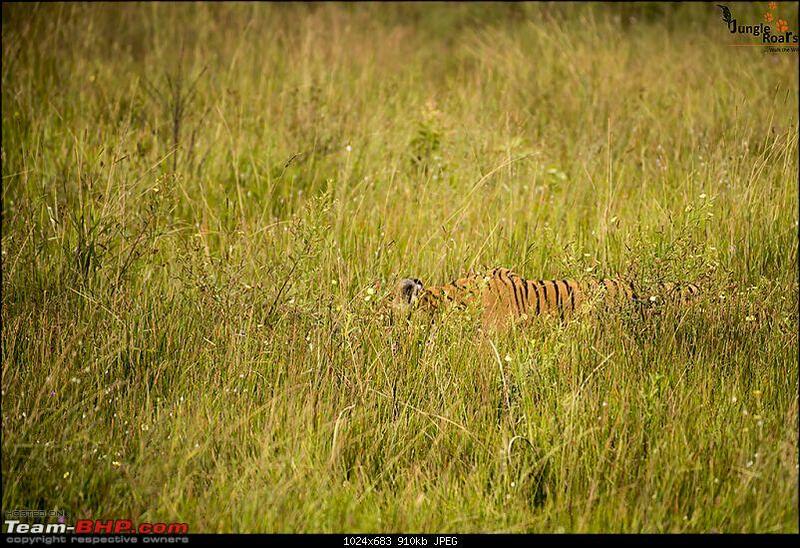 I would say, even after so many sightings, each tiger sighting is special for me and it creates shiver in my body. Sometimes, I have to control for better photography. Thanks Shankar. Yeah, snake in the first frame is cobra. Thanks Stryker for your appreciation. I am jolting down few sightings and logs and will publish soon. Thanks 9thsphinx. 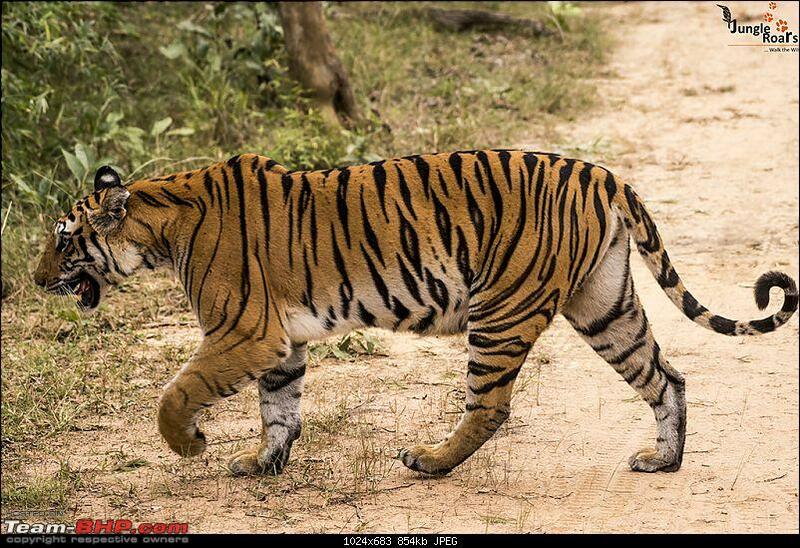 Hope you visit tiger soon next time you visit Bandhavgarh. Do let me know when you plan. I believe it is not just about luck. 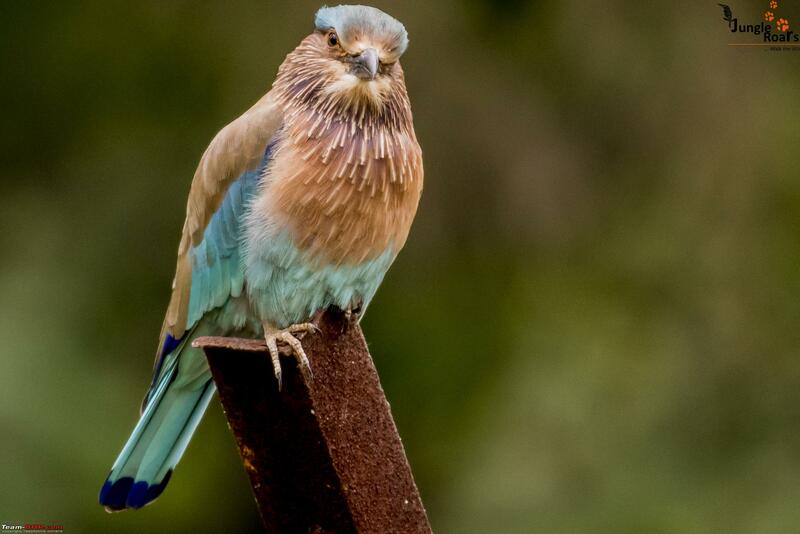 I had back-to-back 13 safari without sighting in 2013 but I kept visiting again and again and that resulted in wonderful sightings I had. Hey earthian, I would like to know more about the route which you took while return. And yeah, lets plan a meet. By the way, any wildlife tour/meet planning, I am ready to plan/manage whatever is required. Thanks Nitish for your appreciation. Let me know next time you plan to visit corbett. I would be very happy to help you and hope you have best of the sightings there as well. Thanks Thermodynamics. I can understand what your colleague may feel each time on spotting a tiger. I am addictive of that. Hope, I could do justice with my words. Hey MMV, thanks for appreciation. From the pic, it looks like Panpatha buffer. Never plan a visit to tiger sanctuary without proper bookings well in advance since safari bookings now a days have become very difficult with lots of agents and resort people doing black market everywhere. And yeah, lets plan a meet. By the way, any wildlife tour/meet planning, I am ready to plan/manage whatever is required.